Hmmm…I have been away for so long and here is why. I want to move over to a bigger platform, with the name,”Business Accesser”. It cuts across marketing, sales, social media in fact anything that deals with day-to-day business ideas. Also with podcast features. No need for long talk will keep you posted. The information you’re about to learn in this section is vital to your success as a negotiator! Now tighten you seat belt and wear you Google glass. To become a skilled negotiator, you must have the, negotiator’s mindset. If you have this, it means that you have the frame of mind and thought patterns that will enable you look at every situation as a chance to negotiate and win. Donald Trump, John D. Rockefeller, Richard Branson and many other successful people who rose to the top of their field were bad(extremely good) negotiators. Discover your negotiator’s mindset in only four single steps! The time has arrived my friend-you’re now going to develop the negotiators mindset. On you marks! 1) Discover the vast opportunity to negotiate everywhere around you. 2) Sell yourself as a skill negotiator. 3) Believe you can win every negotiation. 4) Practice your new negotiation skill daily. All this four steps are important to your development of negotiator’s mindset, I will take my time and throw more light on each step. Hope you enjoyed your reading. See you soon for yet another post on this series, Act of negotiation! I love you! And then I said something that I immediately realized I should never tell my kids, or any entrepreneur for that matter. Now, you may not think saying this is so bad. So, let me explain. The reason why I said this was to show my kids the value of money. And that we have to work to make money to spend on the things we want. But here’s the negative: saying this paints the wrong picture. It paints the picture that we can’t always get what we want. Which is the exact opposite of the attitude I want my kids, and all entrepreneurs, to have. What my kids and all entrepreneurs MUST be thinking is YES, I CAN get whatever I want. Yes, it won’t just come to me, but with hard work and ingenuity, I can and I will get what I want. Fortunately, right after I said that to my kids, I caught myself. In the interview, Ken explained that timber bamboo shoots grow very little for four years while their extensive root system is growing and taking hold. But once the roots are firmly in place, the bamboo can grow a shocking 80 feet in just six weeks. 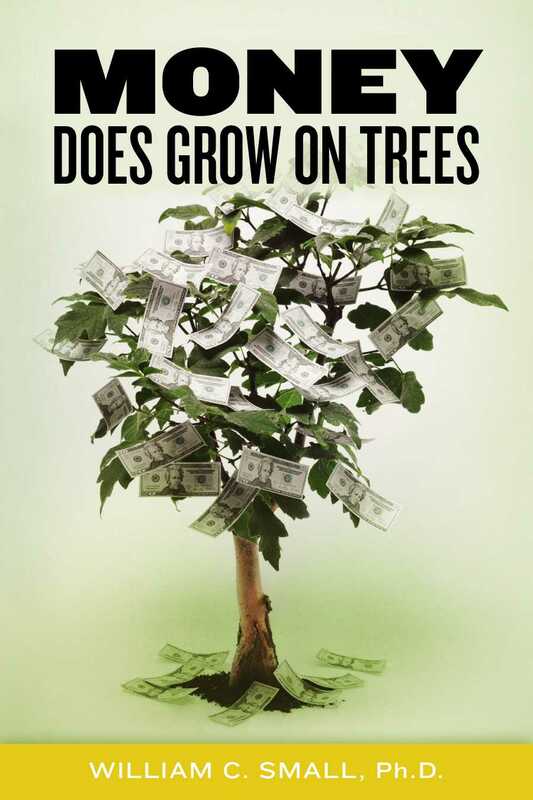 This story made me realize that money does in fact grow on trees. The key is to work on the tree’s roots. To build such a strong foundation that generating money becomes easy. Every great company has a strong foundation. They create a brand name, sales systems, delivery systems, etc. And then, they can generate cash and profits each and every day. So, focus on building an extremely strong foundation. Think through your business model. Learn the best practices for the key business disciplines – marketing, HR, finance, sales, etc. And then, put your thinking into a strategic plan. 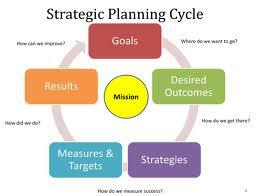 Have you got any strategic plan for your business? Please live comment if there are questions. Talking about strategic plan, it is your road-map to success. It is the tool that turns your ideas into reality. 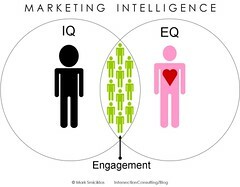 For example, the great marketing idea in your head isn’t going to become reality unless it’s documented in your plan and a team member(s) knows to execute on it. Likewise, your new products and services won’t be built or fulfilled unless they are documented and your team knows what to do. 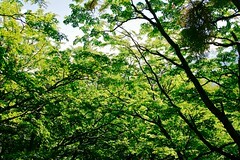 Get your ideas in your strategic plan and then you build the tree from which money does grow. So, never let anyone tell you that “money doesn’t grow on trees” or that you can’t have everything you want. Because money does grow on firmly rooted trees and you CAN achieve and get everything you want out of life if you resolve to do so. They key is to build your plan — your foundation — and then grow systematically from there. Don’t forget to like biztalksblogs on facebook. Don’t forget, I will be tearing,”Act of Negotiation” . It will be in series, so do not miss it. just do what you love and believe in, and it will come naturally. When it comes to financial projections, there are two types of entrepreneurs: first, the “visionary entrepreneur” who considers financial projections silly, so she makes up numbers that look good to investors; second, the “intense entrepreneur” who develops an 10,000 cell spreadsheet that includes the number of licenses of Microsoft Office that he needs to buy in year five. If you are the first type of entrepreneur, you run the risk that the investor won’t trust you with his or her money. This type of entrepreneur often alienates investors because of his cavalier attitude. If you are the second type of entrepreneur, you run the risk that the investor will think that you actually believe your projections. When it comes to financial projections, however, there is only one type of investor: people who don’t believe your financial projections, whatever they are. So what’s the right balance of vision versus detail? The point of financial projections is to tell a story with numbers-a story about opportunity, resource requirements, market forces, growth, milestone achievements, and profits. Your job is to create a numerical framework that complements and reinforces the vision you’ve painted with words. The investor isn’t interested in the precision of the numbers, but he or she is interested in what the numbers say about the economics of your business, and what they say about your understanding of your business. The goal is to tell a credible, as well as exciting, story about what your business could become. Why Have a 5-Year Financial Model? The reason to develop a financial model of your business for five years going forward is to make explicit the driving factors behind your revenues and expenses as you pass through several stages of product development, market penetration, and organization growth. As they say, if you don’t know where you’re going, any road will get you there. Most important, you need to show investors how you will grow your company from the bottom up-sale by sale, employee by employee-rather than building a model from the top down. No one believes that a model built on getting “only one percent of the target market” is a credible plan. You won’t be presenting your operating plan to investors in your first few meetings, but you’d better understand how you are going to run the business once you raise capital. A well thought-out operating plan will reflect your ability to allocate resources-people and money-to the highest priority objectives. The problem with financial accounting, however, is that it forces you to present your numbers using big company functional categories, such as sales, marketing, engineering, general, and administrative. But startup companies really operate as projects, with most projects running across functions. You need to run your company as a startup, but present your financials using the standard framework of accounting. That means that the details of your operating plan will reside in a model built around the activities required to achieve your critical milestones. Still, building your operating plan from the bottom up based on projects you need to execute is challenging. We all over-estimate how much we can accomplish in a month. Make sure your projections are tempered by real world experience. You want to over-deliver during those early years, not under-deliver. You don’t want to have to ask for more money before you’ve proven what you promised to prove. First, don’t call your projections “conservative.” We refer to this as Entrepreneur Lie #1. Investors want to see a bold plan that is well thought-out and realistic, if everything goes reasonably well. They don’t want to see a delusional plan. Your job is to show that you have tapped a team with the experience and insight to justify your bold optimism. Second, model your company on other real world successes. You don’t have to make up your business model. You should be able to model your financial projections on companies that have been successful before. Use the S-1 IPO filings of companies with business models similar to yours to get an idea of what is realistic. If your projections are wildly different than other highly successful companies, then your assumptions are probably off. Your operating plan and your longer-term projections will evolve. You should be constantly engaged in testing your assumptions and adjusting your actions as you learn. The trick is making sure you are always using your precious resources-people and money-most effectively, for the highest return, rather than letting inertia perpetuate activities and expenditures that are not productive. It’s obvious, but it’s true: The number one cause of failure is running out of money. And the number one cause of running out of money is the failure to grow revenues faster than you are growing expenses. As much as your investors may tell you, “We back teams,” they expect you to make money. If you deliver on your numbers, you will become rich and successful. If you fall short, you won’t. So as much fun as it is to paint an exciting vision, at the end of each month, you will be measured on your ability to deliver what you promised.